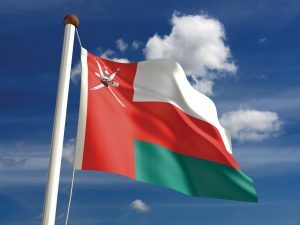 The new Kempinski Hotel Al Mouj in Muscat, Oman, is using a network infrastructure that offers a magical number of possibilities. 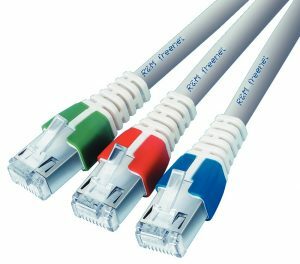 The cabling solution from R&M supports data transmission from 1 to 40 Gigabit/s and, at the same time, the use of Power over Ethernet. Partner: Mustafa Sultan Telecommunications Co. L.L.C. Project: Network for major five-star resort, 2015. Application: Structured FO and copper cabling with singlemode OS2 for backbone and Cat. 6 UTP for applications as well as integration of Power over Ethernet. Sophisticated IT applications are required in a five-star resort such as the Kempinski Hotel Al Mouj in Muscat. The project was to integrate high-speed data and voice connectivity for guests and the company, IPTV, as well as video surveillance, security access systems and many more functions in a single network. “Kempinski hotel was determined to utilize the very best solutions that could meet the performance requirements of the property for the foreseeable future,” explains Sushil M. Jani, General Manager at Mustafa Sultan Telecommunications Co. L.L.C., the general contractor and installation partner. R&M’s Cat. 6 UTP connectivity technology was used to meet the high quality and performance requirements. It enables up to 1GbE connectivity for up to 100 meters along with 10GbE connectivity for up to 50 meters. The hotel also uses Power over Ethernet (PoE). A solution fulfilling the current PoE standards was installed. It can be operated at full capacity using LAN cabling from R&M. This has enabled the infrastructure to support many additional devices including IP cameras with pan/tilt/zoom functions, VoIP and video phones, POS terminals, and wireless access points. The fiber backbone was implemented with R&M’s UniRack patch panels and R&M OS2 cabling. The partners decided to utilize singlemode fiber to meet current and future throughput requirements, which will enable the hotel to operate the backbone flexibly with 1 Gbit/s, 10 Gbit/s and even 40 Gbit/s. The Kempinski Hotel Al Mouj enjoys all benefits of a five-star infrastructure. Numerous functions are available from a single network both for guests and for the general hotel operation. The strong local presence and specialist support from the R&M team in the Middle East resulted in an optimal hotel network. The R&M supply chain in the region enabled efficient logistics and installation.